If you need to change phone providers, you can port, or transfer, your SmartLine phone number to another provider. Before you can port your number, you'll need to submit a request to unlock your number. This is to prevent your phone number from being transferred without your consent. 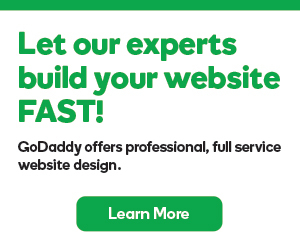 Send your requests to numberunlock@GoDaddy.com from the email address we have listed on your GoDaddy account. Once your phone number is unlocked, you will receive an email to let you know that you can port your number. Note: While we respond to unlock requests as quickly as possible, please allow 1-2 business days for the response email. Submit a number port request with your new phone provider within 30 days. Note: If your number has not been transferred to your new provider within the 30-day window, your phone number will automatically be re-locked. You will need to send another request to unlock your number. If, for any reason, we are unable to unlock your number, you'll receive an email explaining why your number can't be unlocked. Caller ID not showing for ported numbers, SOLUTION FOUND! Whats the ETA on 800# porting? What’s the deal with a free business phone number?